Inspired by this weekend's bright sunshine (in February! In England!) 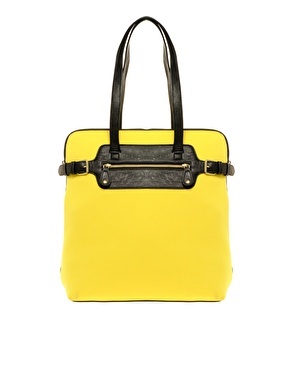 I'm eyeing up these sunny pieces... Whether you want to channel pastels, neoprene, fluoro or prints, yellow is all over the top spring trends. Nice, simple shape - if the strap was genuine leather I'd be snapping this up for an easy pastels update. 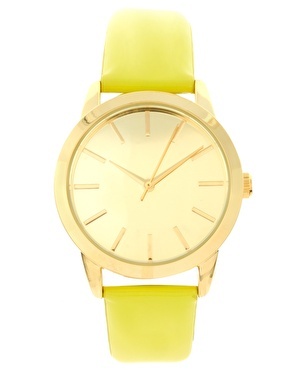 Patent strap watch by ASOS Collection. Featuring a round gold-tone bezel with stem to the 3 o’clock position, notched indexes, triple hand quartz movement, and a patent leather look strap with an adjustable length and pin buckle fastening. Shopper bag by ASOS Collection. Featuring twin grab handles, contrast piped trim, central zipped pocket to front, soft moulded neoprene main with adjustable pin buckle strap detailing to the side. I need these shiny plastic stripper shoes in my life. Why can't I find them anywhere in the UK yet? Transparent motives: Clear PVC creates the illusion that you're walking on air in this Christian Louboutin pump. 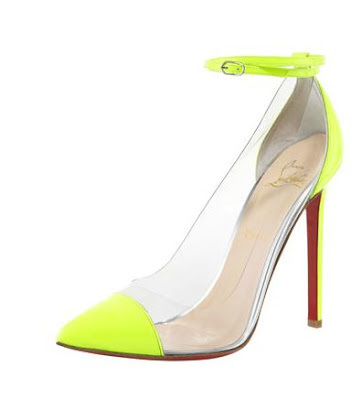 Fluorescent patent leather and clear PVC upper creates d'Orsay effect. Double halter ankle-wrap with adjustable buckle. 4 3/4" covered heel displays signature red sole. Made in Italy. Behold... The PS1 in glorious, lurid, neon yellow. 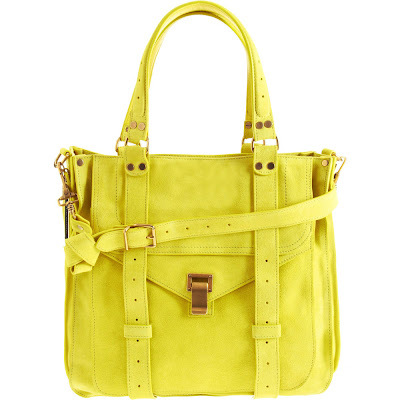 Who needs the Cambridge Satchel? Suede open top tote with magnetic snap closure featuring large front flap close pocket with metal foldover closure and leather pull-tab straps. Flat top handles and removable/adjustable shoulder strap. Canvas lined interior with two leather trimmed slip pockets and single zipper pocket. Made in Italy. ANY BOLD LADIES OUT THERE? FRIDAY'S FFFFOUND: WER BIST DU?